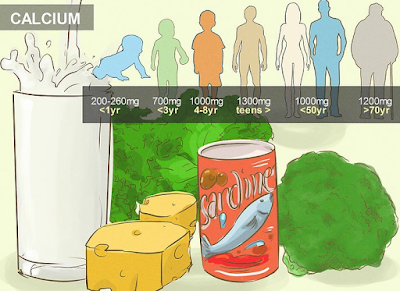 Foods high in calcium and vitamin D are especially good for boosting bone density. These are the best known nutrients when we think about bones, but several others also play an important part, including vitamin C, potassium, and magnesium. That’s why any diet geared toward preventing bone loss should be well balanced and contain plenty of fresh fruits and vegetables as well as lean sources of protein. Some foods are better than others in this regard, so we’ll break down 7 super choices for preventing and managing osteoporosis. It’s important to take this disease seriously because while the symptoms of it are painless, the result is a much higher risk of fractures that take a really long time to heal and can leave you vulnerable to systemic infections. But don’t worry – these are all good foods. We like #6 in particular as a versatile substitute for the one thing most of us eat way too much of. Can you guess what it is? Read on for the answer to this and many more questions about protecting your bone health. We tend to think of dairy as the only source for calcium, but in reality it can be found in many different vegetables. Dark, leafy greens like kale, collard greens, bok choy, Chinese cabbage, and turnip greens are all high in calcium. But that’s not all. They also contain a good amount of vitamin K, which is known to further reduce your risk of osteoporosis. Lesser known than calcium and vitamin D but still critical to bone health are magnesium and potassium. And what’s more, these nutrients all work together to protect your bones. Being deficient in magnesium can throw off your balance of vitamin D. Potassium, on the other hand, is able to neutralize the acids in your body that otherwise leach calcium right out of your bones. Both sweet and white potatoes are a rich source of magnesium and potassium. Just be sure to bake or boil them, rather than fry them in oil, to preserve the health value. Everyone knows that citrus fruits are an excellent source of vitamin C. But you may not have realized that vitamin C plays a huge role in preventing bone loss. That’s because vitamin C is necessary for the development of collagen, which is the fibrous portion of bone and cartilage. Bad news for ladies, though. Studies have shown that supplementing with vitamin C is more effective for preserving bone density in men. But don’t stop eating citrus just because you’re female. Vitamin C is crucial for a lot of things, including smooth and young-looking skin. Just one grapefruit or orange can deliver a full day’s allowance. Many varieties of fatty fish offer a nice amount of vitamin D to help your body use calcium. Fish also has omega-3 fatty acids, which in addition to bone health can support your joints and cardiovascular wellness. Salmon in particular is a great source of potassium, and canned salmon contains calcium as well. The reason for the calcium is that small, soft bones are packaged with the meat. The same is true of sardines. You won’t even notice the bones, but if the idea bothers you, it’s still great to eat salmon filets, as well as canned or fresh mackerel and tuna. Almonds are not only high in calcium and potassium but they are extremely versatile and easy to include in your diet. They can be eaten by the handful as a snack, chopped and toasted as a crunchy topping for salads, or crushed with a bit of salt for a tasty nut butter to spread on whole grain bread. Almonds do contain a fair amount of fat, but that shouldn’t be a huge worry because you don’t need to eat many to get the nutritional benefits. Substituting other sweeteners for refined white sugar as often as possible is just good policy. Sugar is one of the biggest threats to public health today, for lots of reasons. When it comes to osteoporosis, we know that sugar can weaken your bones. Molasses, on the other hand, is a natural sweetener that also contains calcium. Try substituting molasses in baking as well as stirring it into yogurt, oatmeal, or smoothies. Plant-based milks, orange juice, cereals, and breads are frequently fortified with extra calcium and vitamin D. So even if you don’t like dairy or are a vegan, you can still get enough of the power vitamin combo that should always be your starting point for building and maintaining bone density. It’s a good idea to buy more fortified foods during the winter months, when you aren’t getting outside into the sun as much. It’s common for folks to become deficient in vitamin D, which the body synthesizes under the effects of sunlight, when the days are shorter and it’s too cold to spend much time outdoors. You may also find that the fresh leafy greens you rely on for calcium are not as readily available during winter. Your skeletal structure makes it possible for every other part of your body to remain in the correct place and do its job. Osteoporosis weakens bones considerably and is a dangerous condition, not because it is itself painful or deadly, but because it weakens the very foundation of your body. Loss of bone mass and density means that portions of your frame may fracture after even a mild bump or bruise. Luckily, diet can go a long way toward preserving and even repairing bone loss. Speak to your doctor about your risk factors for osteoporosis by the time you reach 50 years old. But even well before then, start building more of these bone-friendly foods into your diet. Keeping your bones strong and avoiding osteoporosis is a life-long job.